I have a funny feeling this is going to be my kind of year! I love 2012 already even though it is still but a pup. 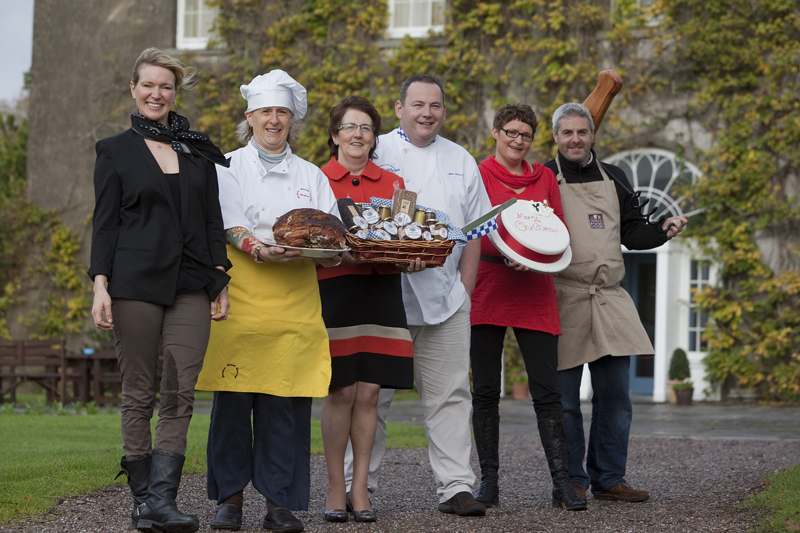 My excitement is twofold; first of all Tipperary is starting the year with an award, and a food award at that! Oh yes, in case you haven’t heard Tipperary has just been given the much coveted accolade of Food County of the Year in the well recognised 2011 Bridgestone Guides Megabytes Awards. The competition in this category is fierce every year but, according to the well known judges John and Sally McKenna, “Tipperary really has its act together managing to present a pop up shop selling the produce of 14 Tipp producers at Electric Picnic and organising their superb annual Long Table Dinner”. 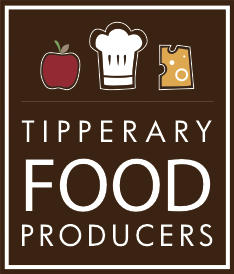 High praise indeed and I am delighted for the multiple Tipperary Food producers involved in both of those events under the umbrella of the Tipperary Food Producers Network. Lads, when it comes to prizes we’re gaining on the hurlers everyday! The other reason for my sunny outlook is the predicted food trends for 2012. Now I’ve never been one to follow fashion and have always believed in doing my own thing but this year I’m in agreement with most of the trends and I seem to find myself on the same page as many of the respected food commentators. One of my favourite 2012 food predictions is that elimination diets are so last year, if not altogether last century. Finally the world has come around to the idea of portion control being a better approach. Instead of bluntly cutting out fat, protein or carbohydrate, all of which the body need, it is instead reverting to the more sensible and healthy route to wellness of ‘a little bit of everything but keeping it all in balance.’ I love this philosophy and it is the perfect diet for someone who loves good food. I could also hardly contain myself when I read of the emerging and sustainable focus on real, locally grown and produced food. 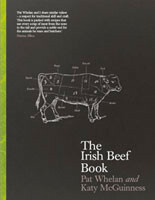 Yippee – finally the gospel that the Tipperary Food Producers Network has been preaching for many years now, is no longer a voice in the wilderness. All over the world people have realised that the food produced in their own environment is probably better, fresher and more nutritious and ultimately better for the local economy in these straitened times. Real food is also seeing a healthy renaissance. ‘God made’ rather than ‘man tampered’ is having a revival. Real butter, real sugar, real juice, and ‘real’ everything is finally taking over from the artificial. I’m ecstatic. Actually when you think about it, the mere fact that we were happy to consider something ‘artificial’ could be equal or better than the authentic, is disturbing. At last our brains have caught up with our senses and we have seen the light. The real food movement brings with it an increased interest in farmers markets and smaller specialist retailers; alleluia! Obviously this is great news for independent butchers, bakers and green grocers. It’s also been discovered that the pre millennium penchant for bigger, busy and impersonal has given way once again to smaller with a more community based spirit. People want to be recognised as a regular customer and engaged in the pleasant banter that goes with such recognition and familiarity. People are also more inclined to talk about food. They are interested in its provenance and in learning from the ‘experts’ inside the counter where it comes from and what best to do with it. The economy is having a huge impact on food trends but it’s not all negative. People are being careful and frugality is fashionable, but it’s driving a return to home cooking. Eating out is once again becoming a treat and we are looking for ways to feed our families by doing more with less. A recent survey from America saw sales of crock pots, pressure cookers and other old fashioned kitchen gadgets go up unexpectedly. Along with resurgence in such tools and appliances our palates have also gone retro. Maybe we are craving a taste of the past; creating an emotional connection to a more secure time. Or maybe we just realised that our parents and grandparents enjoyed good plain food that tasted great and didn’t break the bank! I’m very fortunate as I’m a fan of those homely one pots and traditional recipes that were common for most of us who enjoyed a 1970s childhood. Such a trend is no hardship for me and in my opinion those dishes are to be wholly embraced. With a bit of a modern twist I can’t think of anything nicer that a creamy beef stroganoff, a luscious steak and kidney pie or homemade beef burgers. Talking of retro and simplicity, steak is also making a ‘Saturday night dish’ comeback. Eating out has not gone away but people are looking for value so only the best will survive. For that reason we can expect to see changes in our restaurant menus. The exotic will no doubt be replaced by pasta and other inexpensive ingredients as restaurants find ways to keep the prices down while still providing an overall experience. Finally on the dessert front the charts are suggesting that the cupcake has had its moment in the sun, but I personally diverge with general opinion on this point. To be honest I could never quite get my head around the ‘cupcake’ as an Irish concept as I never saw it as anything other than a big bun with an overly fancy icing hat! As far as I’m concerned buns, or their more glamourous Irish sister, the fairy cake, never went out of fashion and I don’t think they ever will. Ditching this new desire for six inches of piped icing on the top might not be such a bad thing, but your basic Irish iced bun with a cuppa, mid morning or afternoon, is hard to beat for sheer, hedonistic pleasure. Leaving the buns (or cupcakes) aside it looks like being a very good year for those of us who love our food. Roll on the rest of 2012 and don’t forget to stop by our website or drop into our store in the Oakville Shopping Centre where we will be delighted to help you with new or retro recipe ideas for great family food. And don’t forget to spread the word that Tipperary is, for the rest of 2012, The Bridgestone Guides Megabytes Food County of the Year! Hooray!! !